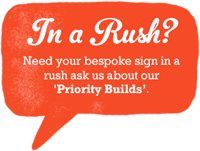 Home / Products / Custom Cinema Signs - Any Size! Custom Cinema Signs - Any Size! Any size, satin black or silver anodised, internal or external. For restaurants, bars, cafes, cinema rooms and even cinemas! Each light box comes with one set of clear plastic alphabet letters, numbers and symbols that can be used to create any combination of words you want, the clear plastic letters simply slot in the grooves. Great for restaurants, cafés, hotels, kitchens. Packs of letters includes: A-Z (with plenty of duplicates), 0-9 (with plenty of duplicates), '/', '%', '. ', '*', '$', '!' , '-' (sorry no £ or € symbols but can be ordered separately). All our Cinema Lightboxes are made in the UK! 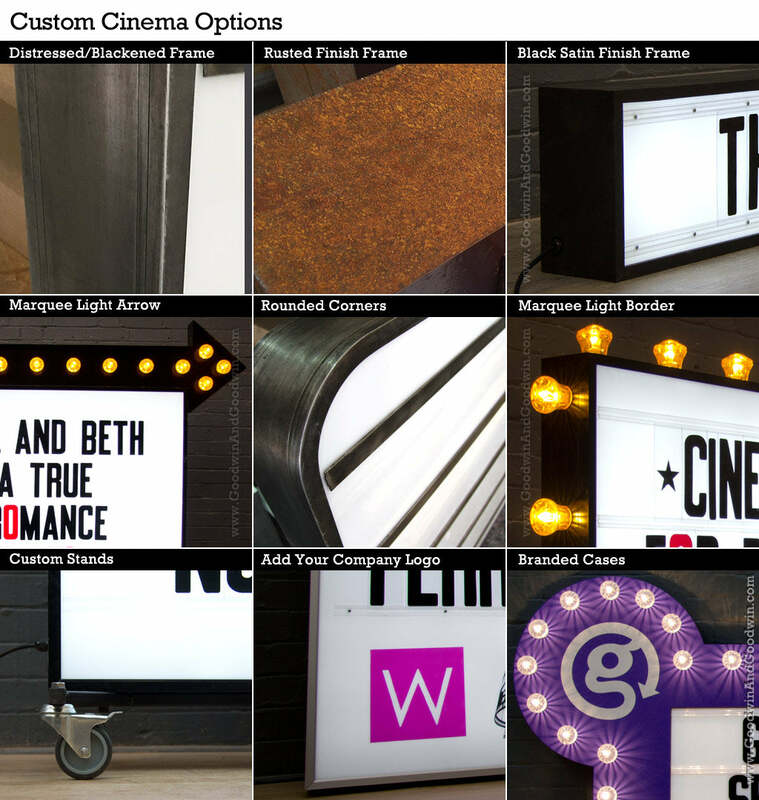 Cinema lightboxes are made to order, please call 0208 829 0599 or email sales@goodwinandgoodwin.com for a quote. 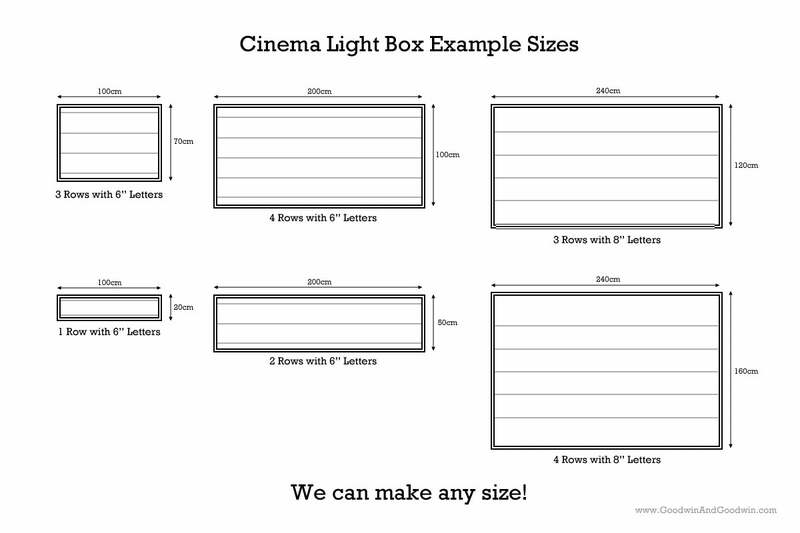 We are Europe's largest supplier of Cinema Lightboxes.